Bulgaria’s nationalist party “Ataka” has come up with draft legislation proposing tying the interest rate on bank credits with the interest rate on bank deposits. Speaking at a press conference Sunday, the Ataka leader Volen Siderov did not provide extensive details but said that the party’s idea was to provide a new mechanism for financial regulation without abrupt state intervention. According to Ataka, the maximum level of interest rates on credits should not be 0.5% higher than the interest rates on deposits. This measure is supposed to have a number of economic benefits, and to protect the rights of consumers. In addition, the Bulgarian National Bank is proposed to set the average interest rate on bank deposits every six months. 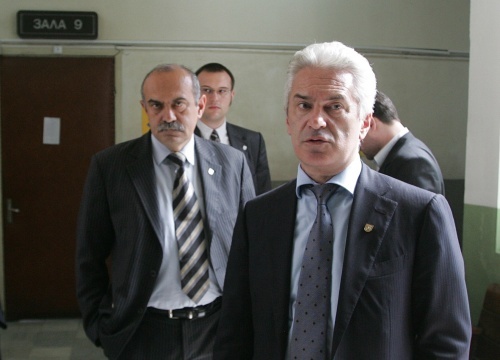 Siderov declared that Bulgaria needed to move away from the paradigm of “less state and hyper-liberalism” in the economy in order to manage to cope with the crisis. He explicitly said that with its proposal Ataka did not mean to provoke the ruling GERB party, and that it continued to support the GERB government of Prime Minister Boyko Borisov. “Until now, the government was occupied with emergency, fire-extinguishing measures which were really necessary but from here on, we need long-term treatment,” Siderov declared. He believes that in the fall the Parliament has to discuss and adopt a strategy for the economic development of Bulgaria, and the ideas in that respect are yet to be discussed with the GERB party. Siderov also said he was going to meet with the BNB Governor Ivan Iskrov as well as with the directors of commercial banks in order to discuss the ideas of his party. In his words, the Bulgarian banking sector has not been affected by the crisis but despite the fact that it continues to have high profits, it has not provided credits to the real economy in order to revive it.